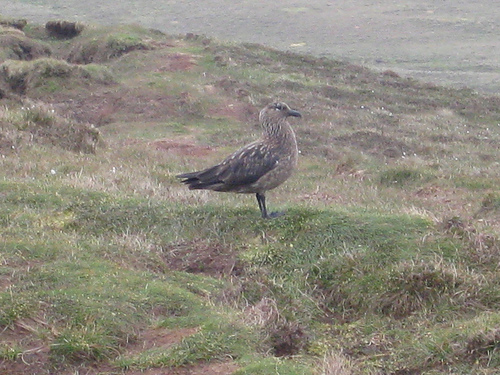 The bonxie surveyed me coldly, raising dark wings and issuing a harsh double croak from its hooked, half-open beak. These fierce inhabitants of the Shetland Isles (‘great skuas’ to the outside world) are not at their sweetest during the chick-rearing season. Instead of launching itself at me and skimming the top of my head with outstretched feet, however, the bonxie contented itself with a good hard stare until I’d walked on out of its personal space. The chicks must still be in the egg, I realised. Last time I had climbed the Hill of Hermaness – the northernmost point of Unst, the northernmost island in the entire British archipelago – a bonxie had swooped so close it had actually parted my hair. I’d smelt the fishy reek of its breath as it screamed in my face, and instantly conceived a deep respect for the fearless great skua. Dodging the bonxies is just one of the many thrills of Hermaness. As you climb the path past the peat-brown lochans there’s the chance of spotting snipe and golden plover, and perhaps a rare red-throated diver sailing the water. On your right the craggy cliffs of Burra Firth dissolve in and out of the mist. And as you crest the hill and start down the last slope in Britain, up ahead sail the skerries that close off these islands. 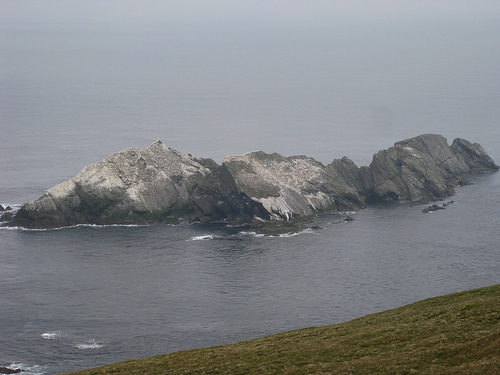 A line of canted, gleaming rock stacks with cumbersome, enchanting names: Vesta Skerry and Rumblings, white with nesting gannets; Tipta Skerry; Muckle Flugga with its high perched lighthouse. A little further off rises the round blob of Out Stack, prosaically named, romantically situated: the end of the end. Down there in the thrashing water, some time around 1850, Lady Jane Franklin scrambled from a tiny boat up the slippery flanks of Out Stack and cried a prayer for her missing husband into the wind. The Arctic winter of 1845 had swallowed Sir John Franklin and his 142 companions as they searched in vain for the North West Passage, and Lady Jane was left to weep and mourn in public, raising funds for fruitless rescue expeditions with her tears and imploring. I had it all to myself, the whole magical place. Fulmars circled, puffins scurried, gannets wheeled and plunged, the wind blew like a challenge. I dropped to the turf, grinning all over my face, and stared out north to where, a thousand miles beyond the curve of the sea, the Arctic ice began. 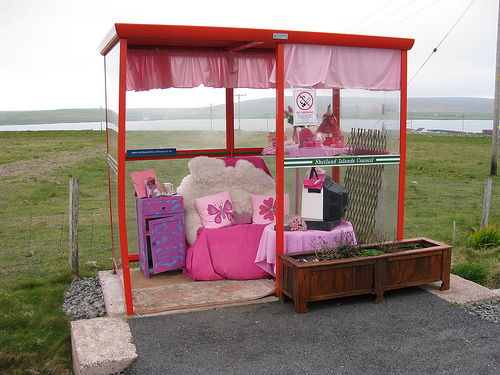 Start & finish: The Ness parking place, Burrafirth, Isle of Unst (OS ref HP612147). Getting there: Flybe (www.flybe.com) / Loganair (www.loganair.co.uk) fly from Inverness and Glasgow to Shetland. Road with ferries: A968, B9086. Walk: (5 miles, moderate, OS Explorer 470). From Ness parking place at end of road, follow marked circular path (green-topped posts) round Hermaness. Allow 2-3 hours. 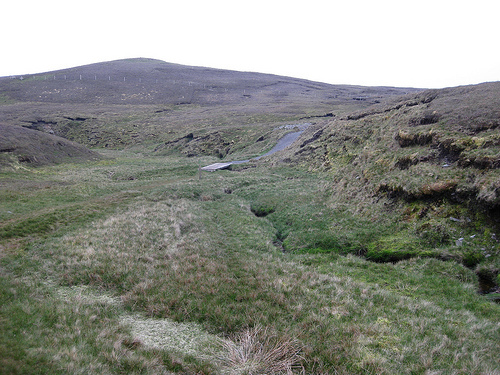 Remote, windy, boggy and slippery underfoot: dress warm and dry; walking boots. Take great care on cliff edges. Bring binoculars and stick. Information leaflets in metal box at start of path. NB: Great Skua (‘bonxie’) dive-bombs during chick-rearing season, generally late May until July, coming close but rarely striking. To deter, hold stick above head. Please avoid Sothers Brecks nesting area, May-July. 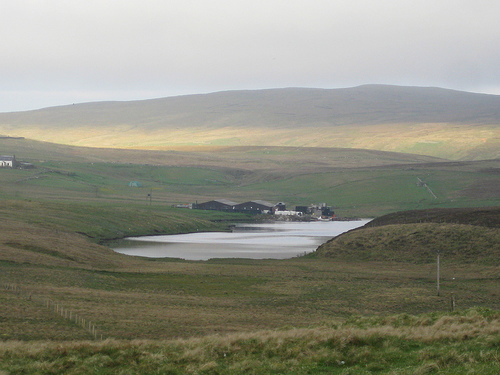 Accommodation: Irene and Tony Mouat, Clingera, Baltasound, Unst, ZE2 9DT (01957-711579) – exceptionally friendly B&B, or self-catering at North Dale (sleeps 4: 3½ miles from Hermaness) or Baltasound (sleeps 6). 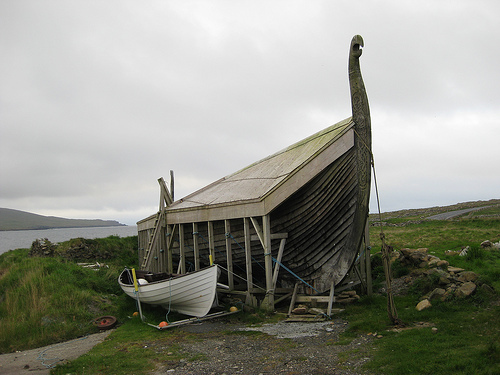 Cruises to Muckle Flugga: contact Tony Mouat, above.